The Internet Beacon is a Baltimore Internet Marketing Company started to fulfill the need of assisting local businesses to market their organizations on the Internet and increase their Search Engine Rank.Goal: More sales leads from their website. We like to define Internet Marketing as the union of the creative and the technical characteristics of the Internet to promote your website by enhancing it's design, development, advertising, and sales. Using techniques such as banner ads, e-mail marketing, search engine marketing (SEM), and search engine optimization (SEO). 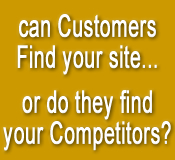 Our Website Marketing services meet and exceed the needs of our Metropolitan Baltimore internet marketing customers. Our primary objective is to help local Baltimore firms drastically increase sales leads via their website and convert their static website into an effective, sophisticated, marketing machine. The IB team is delighted about hearing from our Baltimore clients that their email and phone contacts from new clients is increasing dramatically as a result of our website marketing services. Generally, our Baltimore Internet Marketing clients are concerned about results and are not interested the whole process. We will not take up your time educating you about Search Engine Optimization (SEO) unless you really want to know; our staff takes care of that for you so that you can focus on running and growing your company. Our firm has found that the marketing needs of our clients vary greatly and we customize your Internet Marketing process to your needs and to your budget. Our clients in Baltimore know that internet marketing is a continuing process and is not generally addressed in 30 days. To facilitate this fact the Internet Beacon offers monthly packages for our SEO services so that we meet your particular requirements. 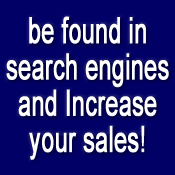 Please e-mail or call us today for a free Internet Marketing and SEO estimate. Or complete our simple 20 second estimate form go here.